What is EVE Project Galaxy? 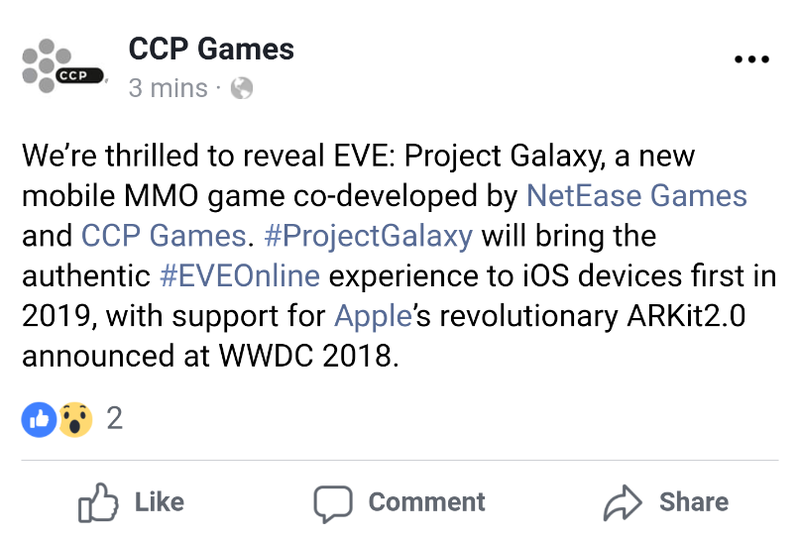 Earlier today CCP let slip on Twitter something about a new game called EVE: Project Galaxy. The tweet was quickly deleted, but it was captured and posted to Reddit pretty quickly, from where I got the above image. Nothing posted to the internet ever really disappears. Massively OP picked it up as well, but has nothing further that what is pictures above. Now, of course, there are nothing but questions and no answers in sight. This is apparently in addition to Project: Nova and Project: Aurora, the latter which we saw at EVE Vegas last year and which has since been christened EVE: War of Ascension. NetEase is of course the Chinese giant that, among many other things, owns titles like Fantasy Westward Journey and runs games like World of Warcraft and Minecraft in China for Blizzard and Microsoft respectively. So a big company with a big staff and plenty of resources to throw at new titles. The positively dwarf CCP by most any measure you care to mention. 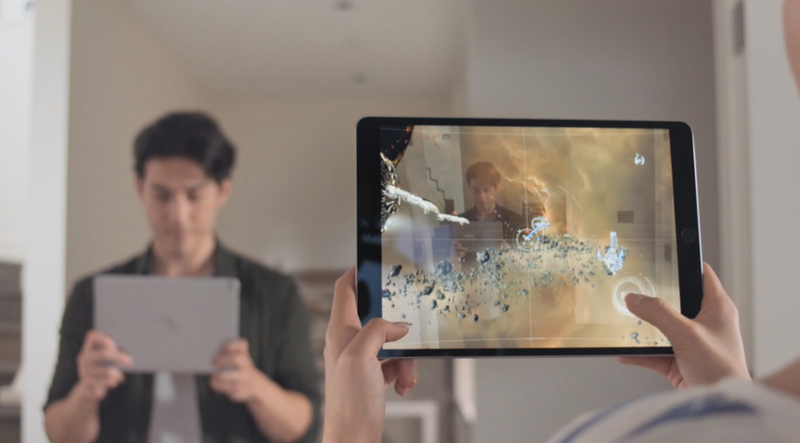 And then there is the mention of Apple’s ARKit 2, which is their augmented reality framework for mobile apps. Augmented reality and EVE Online? Internet spaceships in our personal spaces? So how does a huge Chinese developer and augmented reality mix together in a mobile app… excuse me, a mobile MMO… in a way that will “bring an authentic EVE Online experience” to people? I am not sure how that all adds up. Anyway, if nothing else, Net Ease being involved probably means that few if any EVE Online development resources were moved off to work on this. But I am curious to see what all of this adds up to when CCP finally gets around to announcing it for real. We’re thrilled to reveal #ProjectGalaxy, a new mobile #MMO game co-developed by @NetEaseOfficial & #CCPGames. #ProjectGalaxy will bring the authentic @EVEonline experience to #iOS devices first in 2019, with support for #Apple’s revolutionary #ARKit2.0 announced at #WWDC2018. Still no idea what it really means. 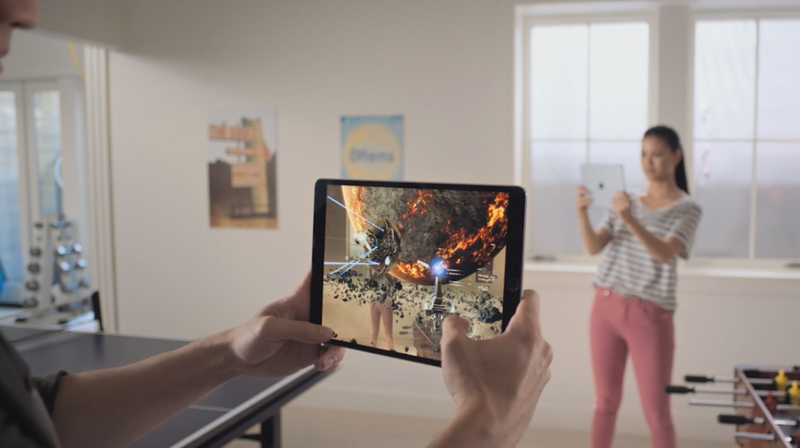 As for timing, I gather it was just to get some traction from the ARKit 2 announcement at the Apple WWDC. EVE: War of Ascension and EVE: Project Galaxy are two different games. War of Ascension is being co-developed with Kongregate, and Project Galaxy is being co-developed with NetEase. Resources aren’t being diverted from EVE Online to develop Project Galaxy. It’s being co-developed with a partner in China, NetEase, who’re working on the game itself, with CCP as a strategic partner and the owner of the IP. We’re working close with them to make sure we get the best possible experience of EVE on a mobile device. Addendum 3: These are alleged to be early pictures from the game in one of the videos from the ARKit 2 page. I am not sure how AR makes this better, but there it is. This entry was posted in entertainment, EVE Online and tagged ARKit 2, CCP, EVE: Project Galaxy, iOS, NetEase, Twitter on June 4, 2018 by Wilhelm Arcturus.